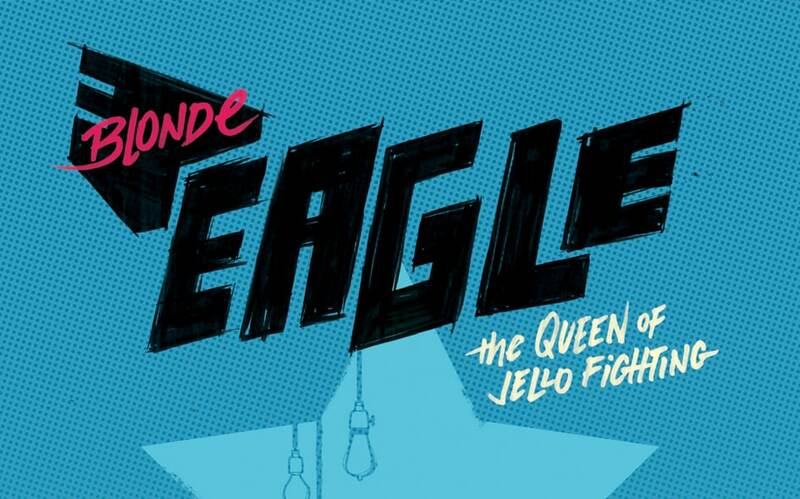 Renato Munhoz’s “Blonde Eagle – The Queen of Jello Fighting is a personal project. It’s a poster series about fighters. 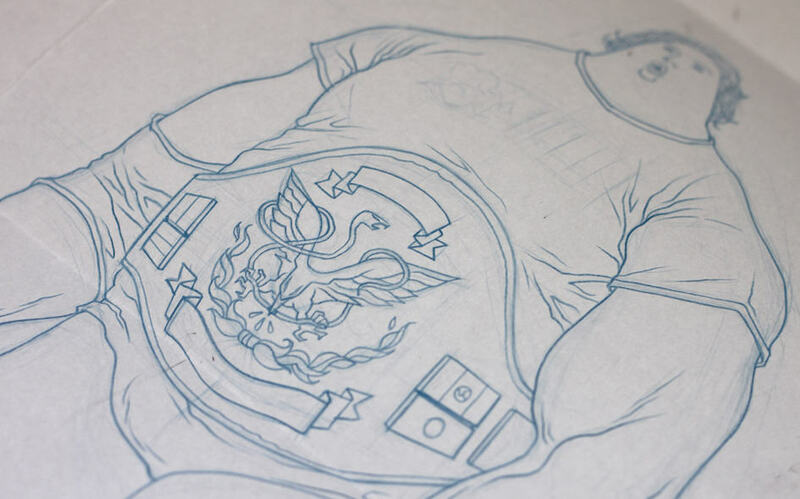 A long time ago he drew in his sketchbook the idea of the fighter Toro, indeed it was only a drawing of a guy with his suit fight, but with his distant look. Renato really it liked a lot so he decided make a series with it. He came up with three types of fighters, characters that are always seen in action, and he thought it would be interesting to draw the characters in situations that are out of the ordinary. Renato tried to put them in thoughtful moments, reflections or contemplative. The project started with a drawing in my sketchbook, but all the work, it’s still a search of my own graphic language. 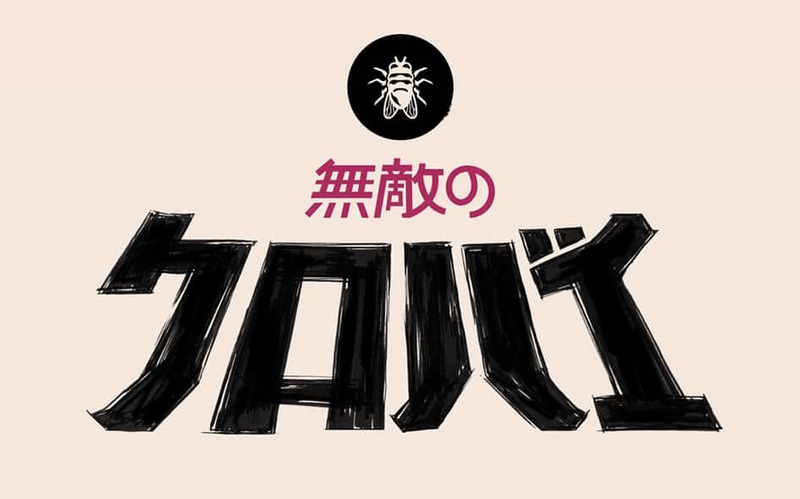 In this project, I was heavily influenced by a lot of artists that I like; I love comics, cartoons, Japanese series (tokusatsus), graffiti, design, art, and so on. So in my work I try to mix everything, that’s why my work has types, disproportional characters, half tones and all of those things. The idea was making a poster with cool tips, to remind fight posters, old school action figures packages, things like that. When I had the idea of drawing the fighters, my inspiration was the rock posters and fight posters. I wanted to make cool types, a title for each drawing. Besides that I wanted to draw different nationalities for the fighters, a Mexican, a North American and a Japanese, like a fighting game. To show this I wrote the title of the each character in your language, and I tried to pull the color palette for the flag of each country. Style, it’s a hard thing to define. I always try to be versatile to translate the demand of different projects. It really helps me learn a lot of new techniques and means of expression. I always did want to draw everything and only now I feel that I won’t stop, look at all of I learned and make my own choices. I love lines, movement, types, organic forms, colors and a certain element of creepiness, but the truth is that I have yet to find my style. My inspirations are from many artists like a Gustav Klimt, Egon Schiele, Jack Kirby, Mike Mignola, Tomer and Asaf Hanuka, Andrew Hem, James Jean, Aryz, Robert Ryan Cory, Os Gêmeos, Speto, Lee Misenheimer, Grampá, Hedof, Broken Fingaz, and many others. Have a good drawing base. I think it’s very important study and practice drawing. As much as your profile is not a figurative illustrator, academic, the ability to draw allows you to organize your ideas faster. Besides, it’s the basic for any other activity, study, practice and meet people in your area. Renato Alpiovezza Munhoz “Rentz” is a Brazilian illustrator, he graduated with a master’s degree in Graphic Design, at Sao Paulo’s Belas Artes University. He has been drawing since he was a kid, just like every child. He learned to draw watching 80’s cartoons, reading comic books and influenced by his older brother. He has made illustrated books, animations for the Internet and short movies. He also has worked to make info graphics for a news website in Brazil. Renato has also illustrated for advertising and created characters and images for many clients. He likes candy, Temaki and lemon iced tea. And he still draw every night; build spaceships and do crazy stuff with his son! See more of his works on Behance or his website.